Is It Still Possible to Make a Living as a Private Guitar Instructor? As a private guitar instructor with over 20 years experience, I have noticed a disconcerting decline in the number of students who sign up for private lessons, and I was curious to learn whether or not other instructors have experienced the same thing. So, I posted the following question to a number of professional groups on LinkedIn including Classical Guitar and Guitar Instructors. Is It Still Possible to Make a Living as a Private Guitar Instructor? Others pointed to a less vigorous economy. Zane Zirkle wrote, “In a Hope and Change economy, music lessons are a luxury to the average Joe… “ . From these responses, it appears there are a variety of factors leading to a decline in the number of students seeking private guitar lessons. The availability of free online content and resources makes it easy for students to learn to play for free in the convenience of their own homes. The sluggish economy and dwindling disposable economy is a factor too. 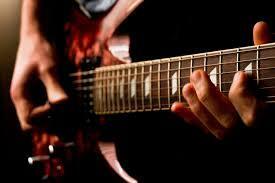 In addition, guitar is no longer the driving force in popular music. Most music is created “in the box” with programs like Ableton eliminating the need to spend years mastering an instrument. Also, there are so many different instant gratification apps, video games, social media sites and digital sources vying for the public’s entertainment time and money. Can an instrument, which requires tremendous personal sacrifice to master, really compete? What does this mean for the future of private guitar lessons? It’s clear that the days of making a living solely as a private instructor are gone for now. Guitarists and musicians in general, must develop multiple income streams and embrace technology as an integral part of their skill set. For the 21st century musician, it will no longer be viable to simply play or teach an instrument. Lessons will always be a piece of the puzzle, but today’s musicians must know how to write for commercials, film, video games, record voice over, distribute and promote themselves online and through social media. 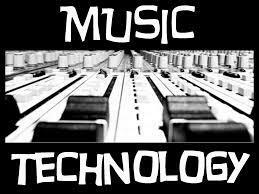 If you have the right skill set, technology becomes a tremendous tool to sell your music and skills to a wider public than ever before. Most schools and universities are developing music and technology degrees to meet the needs of today’s musicians. For example, Gwinnett County Public Schools now offer courses in music technology which focus on recording, composition, film score and video game composition. Private schools such as The Atlanta Institute of Music and Media also offer degrees in music and technology, job placement and industry contacts, so the future is not bleak, just different than the 80s or 90s. I agree with Derek Stottlemyer, who wrote, “As a web architect I see a lot of options, and online offers the opportunity to earn passive or residual income in addition to paid lessons – but instructors have to break the mold and be willing to try new things.” Indeed!